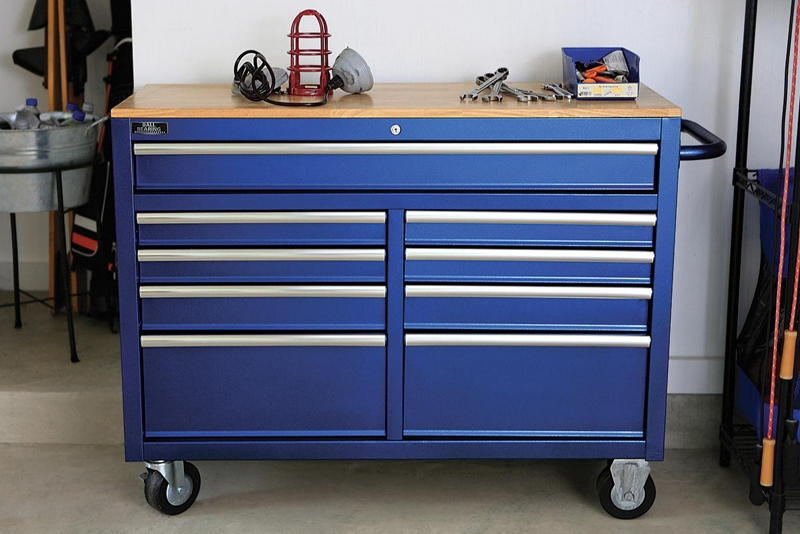 Customize your tool cabinet with Krylon® Rust Protector™ Metallic Finish to make it a feature piece in your garage space. Use painter's tape to completely tape off any area that you do not want painted. Applying in a well-ventilated area, hold the can of Krylon® Rust Protector™ Metallic Finish - Blue 6-8 inches from the tool cabinet surface and paint the exposed areas of top, sides and legs using a sweeping side-to-side motion with slight overlap. Krylon® Rust Protector™ Metallic Finish dries in 8 minutes or less, and can be handled in less than one hour. Make sure the tool cabinet is completely dry before you remove the painter's tape from covered areas.